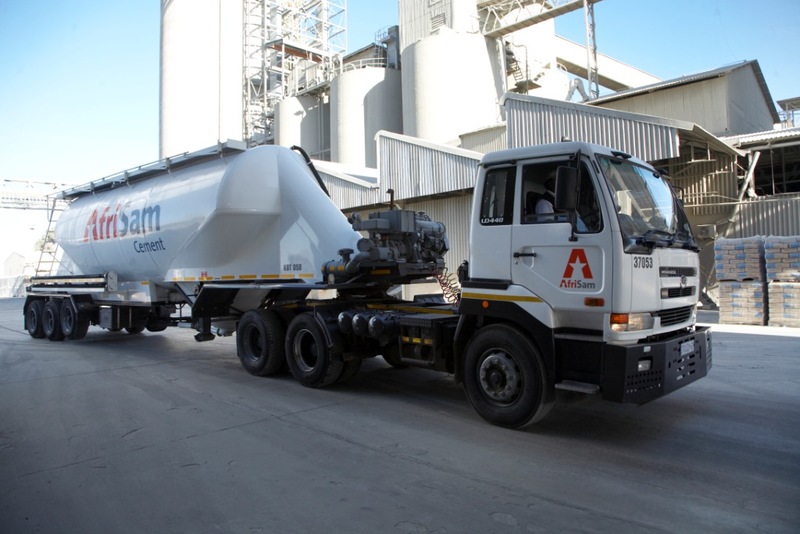 Over the decades, the AfriSam cement product range has been a significant contributor to various infrastructural developments on the continent. With a capacity to produce over 4,5 million tons of cement annually our cement continues to be used in the provision of much-needed houses, schools, roads, dams and other essential facilities for the development of the region. AfriSam’s cement product range offers best-in-class performance with minimal impact on the environment. From our ISO 9001 certified facilities we constantly monitor the performance of our cement to maintain the highest quality standards and the lowest carbon footprint. All Purpose Cement: This is a specially-blended high-quality cement engineered for use in general building and masonry applications. Years of refinement have culminated in this renowned product that is popular with builders, architects, engineers, contractors and DIY enthusiasts. Eco Building Cement: This is the most environmentally-responsible cement available with an exceptionally low carbon footprint. It is a blend of high-performance cement and mineral components with excellent cementious properties. High Strength Cement: This cement achieves high early strength and is therefore suitable for specialised applications such as brick- and block-making, reservoirs, precast operations, structural concrete, shotcrete and mining operations. Rapid Hard Cement: This product is ideal for use in the precast concrete industry where quick de-moulding times are a requirement and for fast-tracking construction projects to facilitate earlier stripping of formwork and earlier bridge launching or higher sliding rates. It is also perfect for use in cold weather due to its rapid hydration rates. Roadstab Cement: This is a specialist product designed for road stabilisation. It offers civil engineers an excellent alternative for road design as it has been developed to achieve superior stability across a broad range of materials and offers enhanced performance even with soil with a high Plasticity Index (PI). Slagment is the registered trade name of our Ground Granulated Blast Furnace Slag (GGBFS). It is a latent hydraulic binder that is used in concrete and other construction applications as a partial cement replacement material. With its excellent cementitious properties and, depending on the application, slagment can replace up to 70% of Portland cement in concrete, enhancing its quality in both the fresh and hardened state. AfriSam’s Aggregate division has the capacity to produce over 10 million tons of aggregate annually. We produce products for multiple applications and to cater for every need. AfriSam’s Aggregate division strictly adheres to the Health and Safety Act, legal mining requirements and environmental protection laws. In addition, all processing is managed in compliance with ISO 9001:2000 to ensure that all products meet the relevant specifications and customer requirements. Road Stone: A high-quality product with specific grading, shape and wearing properties. It is used in asphalt and road-surfacing applications. Concrete Aggregate: This wide range of specifically graded products is used in all concrete applications. Road Layer Works: This product range includes base and sub-base materials that provide the supporting structure in pavement design. It is made from crushed parent rock as well as from partially-weathered material. Speciality Aggregate: This includes railway ballast, gabion stone and other larger sized stones, generally used in erosion protection in its various forms. With vast experience in the readymix business we have perfected our technical expertise in computerised weigh-batching, concrete pumping and quality assurance. Our Readymix operations have the capacity to produce over 4 million cubic metres of concrete per annum with the expertise to produce almost any concrete mix. To allow customers access to the right concrete at the right time we go to great lengths to ensure the versatility and simplicity of our product range. Application Brands: This is a range of concrete mixes offering optimum solutions for specific building or construction applications. It includes foundation mix, suspended slab mix, surface bed mix, column mix, post-tension mix and retainer mix. Speciality Brands: These are mixes for unique applications requiring specific concrete characteristics. The range includes Flowcrete, Poolmix, Trenchcrete and Hydrafil. Customised Mixes: These are concrete mixes designed in collaboration with our customers to meet specific requirements.